A box that is smooth and polished like on the outside and full of texture in the inside. 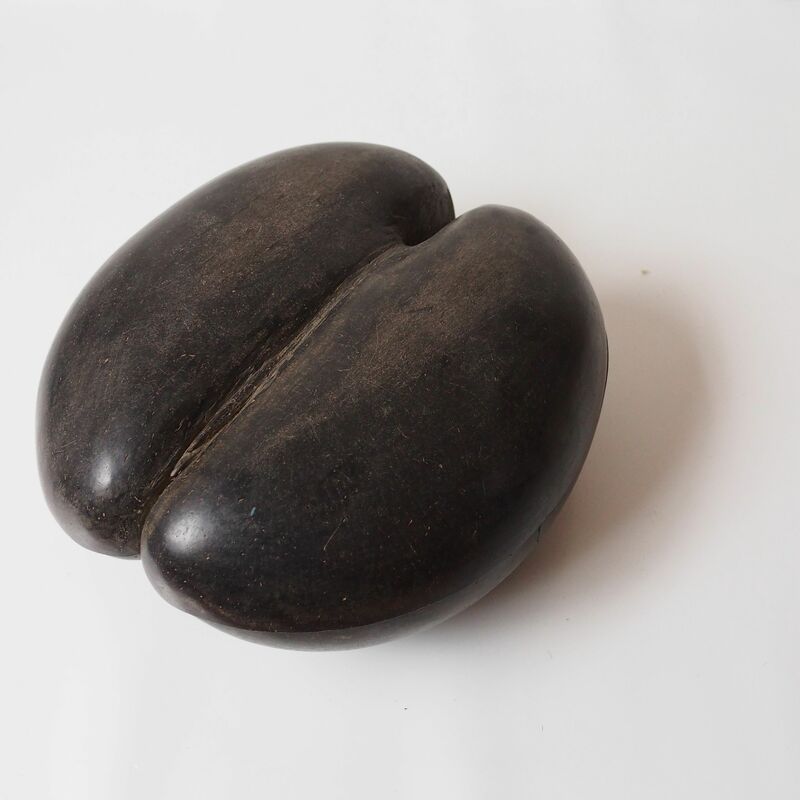 A container that is made out of the shell of the Coco de Mer, the largest seed of any plant in the world. The first time I heard about Coco de Mer, was through a radio commercial when I was a child. In this cough syrup commercial, the Coco de Mer was referred to as African deep sea coconut, my imagination went wild – an African jungle at the bottom of the ocean where none of the animal would cough. Then when I am older, occasionally I would be told they are in the content of an exotic soup, it is as hard as wood and taste of nothing in particular. Only in this research did I realized that they are the seed of a palm tree (not a coconut at all) and only exist in thePraslin islands of the Seychelles (not a underwater jungle).